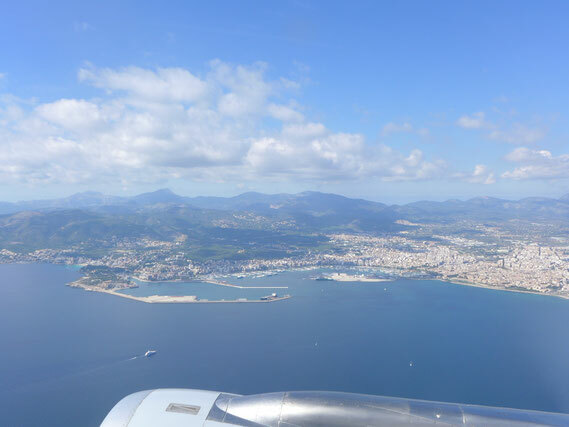 Train your elePHPants for the PHP Unconf EU – Palma de Majorca! Majorca! May 2014 – 17./18! Could there be a better place and time on earth for the PHP EU Unconference: sun, fun, plenty of cheap flights, affordable accommodation? The PHP EU Unconference (tickets) is the international version of the national unconference. The national one frequently sells out quickly (>350 tickets) not only because it matches other conferences despite the ticket price of ~40 Euro only. Traditionally the international one, is more cosy with about 100 elePHPant lovers coming in the years before. Train your #elePHPant for Majorca! #phpuceu Take fotos of your #elePhant and tweet them. All this hard work finally takes place where it should to ensure a relaxed atmosphere. If you plan an international meeting without knowing from where people come, the travel costs are a constant. Pick any place having a major airport, pick one that is beautiful in May! Majorca is a perfect choice. Being a popular party location, there are many low-cost flights are available. Round-trip flights from Paris/London/Berlin to PMI are still available starting at ~120 Euros. During JS Unconf, I’ve heard of people sharing holiday homes (including Wifi :-)) for very low rates. If you have a deeper pocket you may prefer the unconference hotel. Check for a good offer. My wife and I booked two days ago at a very reasonable rate. If you consider staying in Palma for some extra days, it may happen that you run into some other Unconf visitors. Those I spoke to and said they consider to spent some extra days in Majorca tend not to arrive before May 16 but stay longer than May 19. When I told my elePHPant that we ultimately booked the trip to Majorca, he got crazy. He insisted of being trained for life on sunny beaches. Hope he will have the opportunity to get to know many new friends. Go share photos of how you prepare your elePHPant for sun, fun and PHP EU Unconf with @phpuceu.